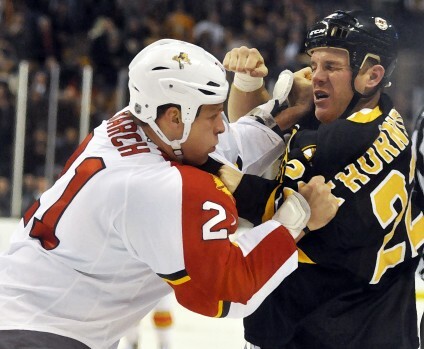 Another pro-fighting gauntlet was laid today by an active NHL enforcer. I figured his argument was worth examining. Maybe he would cover some new ground in this era of Rule 48 videos and a heightened cultural sensitivity toward concussions. WHAM! A crushing hit into the boards brings the home crowd to its feet. As fans pound the glass with their hands, the visiting forward takes exception to the hit and fires a slur of obscenities at the home defenseman. The defenseman smirks and mocks the forward. Moments later, both men have dropped gloves and helmets and decide to engage in hockey’s most controversial pastime: Fighting. When Three Stars simply aren’t enough. I used to pick the Three Stars of The Game roughly 36 times a year in the ECHL. Sometimes I had help, but usually it was a solo effort. After writing a 500-to-800 word game story, writing three names on a piece of paper seemed fairly inconsequential. In reality, I knew that more people would remember those three names than any that made my story. It’s time to channel my inner Martin Luther King. The NHL Board of Governors fires commissioner Gary Bettman and appoints Don Cherry, who fires chief disciplinarian Brendan Shanahan and immediately hires Scott Stevens. Then there’s more collisions. More brawls. More excitement. More ratings. More fans.